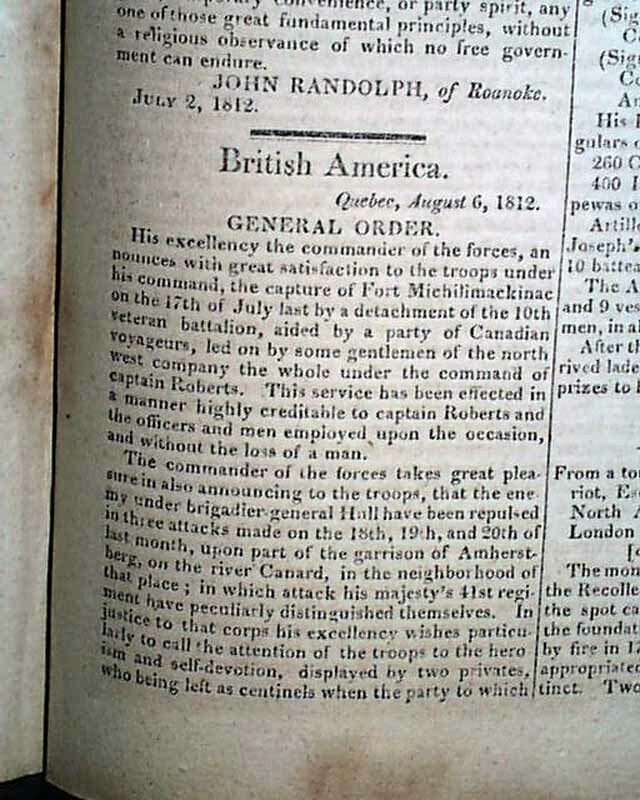 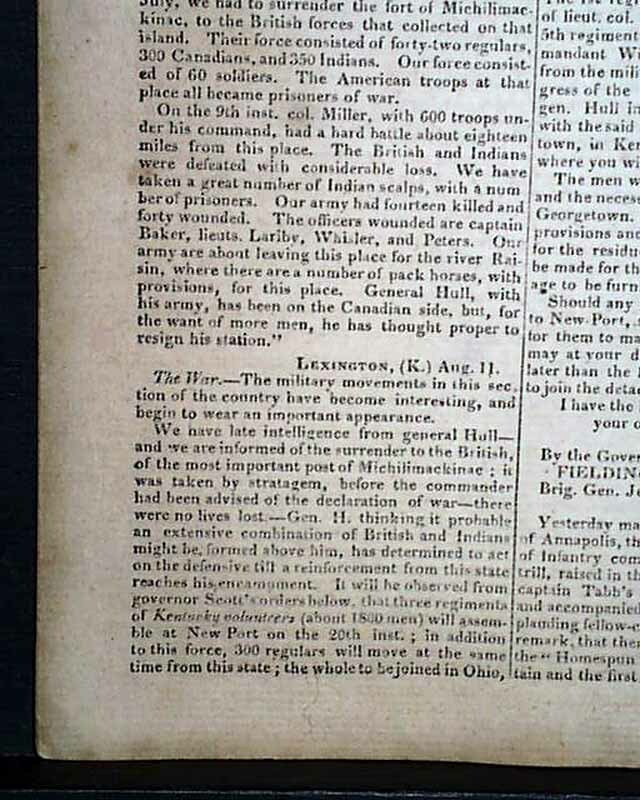 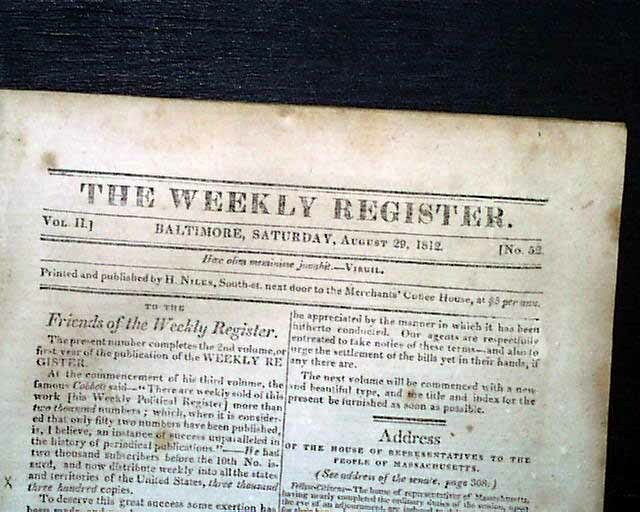 THE WEEKLY REGISTER, Baltimore, Aug. 29, 1812 Much on the War of 1812 including: "British America - General Order" datelines from Quebec, Aug. 6, 1812, beginning: "His excellency the commander of the forces, announces with great satisfaction to the troops under his command, the capture of Fort Michilimackinac on the 17th of July last by a detachment of the Canadian veteran battalion..." surrendered by General Hull without a shot fired.. 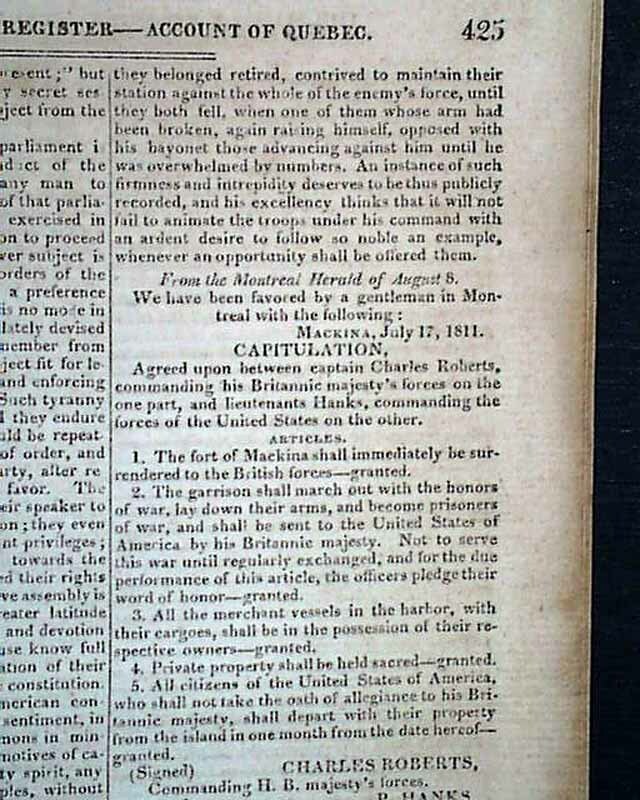 Following this are the details of the: "Capitulation". 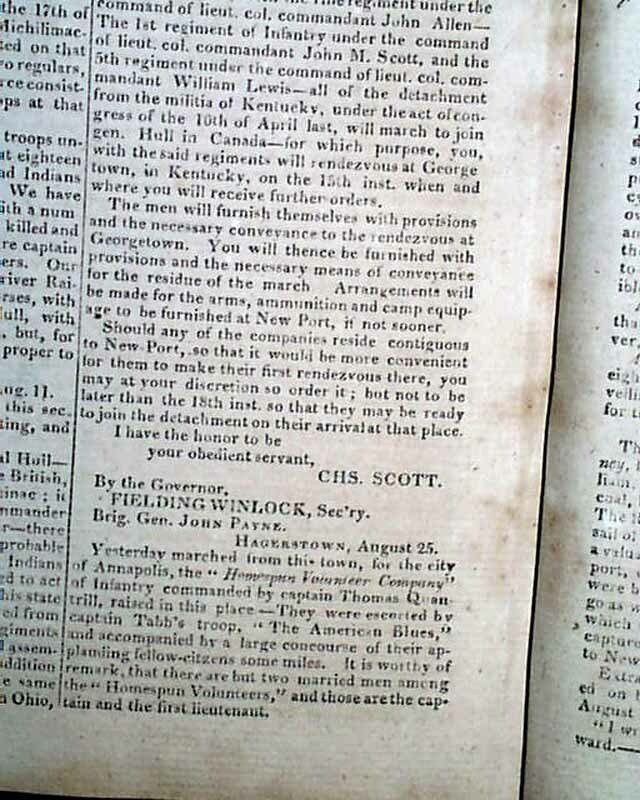 Also: "Events of the War - Military" "Marching Orders" "Naval", war-related letters from Lexington, Kentucky, and Detroit, etc. 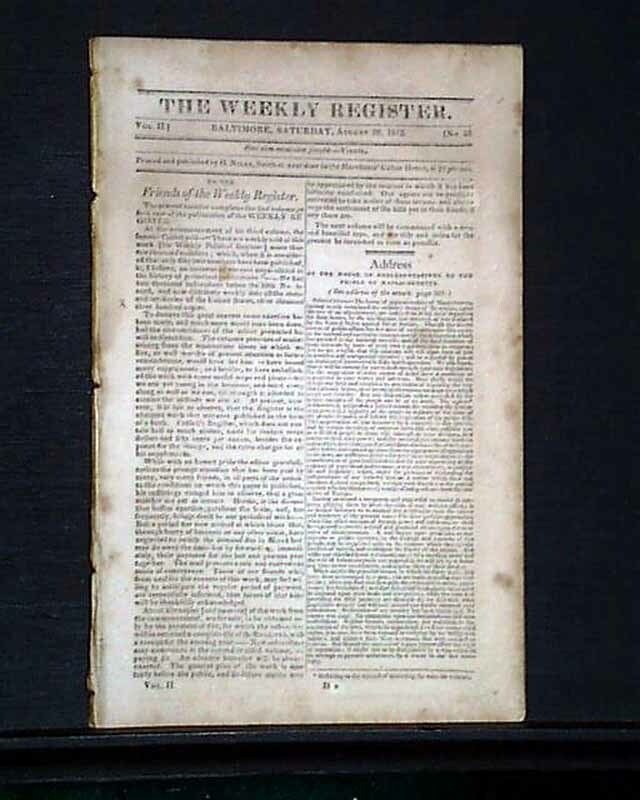 Sixteen pages, 6 1/4 by 9 3/4 inches, even toning, otherwise in good condition.